They say that knowledge is power but sometimes too much of one thing is not as good as we hope it would be. Nevertheless I’m prepared to add a brief series of historical information on some aspects of Bermuda history and how religion, early schooling and the Friendly Society movement played its’ role in the lives of the Black Bermudian population. Researchers trace the origins of Fraternal Organizations from the Israelites through the Romans and into Britain up to the time of the formation of the Guilds. Note however that most Oddfellows terminology has biblical origins and takes it names from the old Testament Characters. For many years the name Friendly Societies has been mentioned world-wide, here in Bermuda it is no exception. It must be stated here that when we refer to Friendly Societies this includes the establishment of various organizations that came into being since 587 B.C when many people who were exiled banded together in a brotherhood for mutual support and defense. When we mention Oddfellows they were persons that came out of the early formation of Guilds and these organizations worked under the same premise of Oddfellows. Over the 300 years the idea of ordinary people joining together to improve their situation met with various degrees of opposition, but groups like Oddfellows survived by adapting their roles to social support functions. Friendly Societies were the predecessors of modern-day trade Unions. 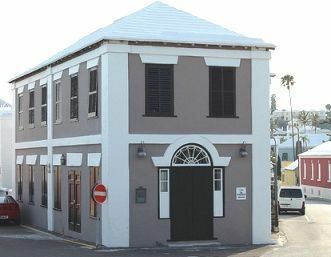 Oddfellows started here in Bermuda as early as 1848 and subsequently introduced a number of benefits to members. Many people therefore joined Societies like the Oddfellows to obtain all forms of support. 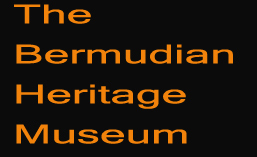 These Societies made vast contributions to the Island of Bermuda. From 1848 the Island gradually formed some 51 Orders. They cared for the sick and distressed, educated children, supported the widows, formed marching bands and Guilds, built homes, churches and theatres, supported other orphan homes, built nursing establishments and assisted in the support of black nurses education. They were the ones who took the risk and represented the slave captives on board the ship ‘Enterprise” which wrecked here during a storm in 1835. Under the leader ship of Brother Julian Tucker President of the Friendly Societies Institution and his lodge brothers they obtained the freedom of 78 slaves. They were the institutions that initiated friendly family games of cricket at lodge picnics between their respective lodges. On several occasions the youth lodges were selected to play the adult lodges in friendly cricket games. At the yearly picnics, teams from either end of the Island played each other and the first official Cup match was held in 1902 between two lodges. It was a few years later that two respective clubs Somerset in the West and St. Georges in the East got involved and the grand classic has been played by them ever since for a cup. Many persons question the ribbon colours but the lodge members know how they came about and what they represent. Lodges were the first to start an assurance scheme and savings clubs to assist their members financially. The longest club remaining open for 110 years. Suffice it to say that some of the most notable movements within Bermuda involved members of the Friendly Societies. One of the greatest and most daring was the Marcus Garvey movement which hit the island between 1919-1921 although their headquarters was at the Church of God on Angle Street Hamilton the organizers were Rev. E.B. Grant and Rev. R.H. Tobitt and they along with many of their wives were graveyites. It was at that time a greater political awareness to blacks. Black business sprang up everywhere and black men and women began to speak out and establish their own business like soda factories, small variety stores better known as ‘Ma and Pa stores’. One thing that remained constant between 1834-1934 and became extremely noticeable was that most of the black leaders were lodgemen. Should I repeat and say that Oddfellowship played a major role in the establishment of this island Yes! Should it continue? Yes! Will they be accepted for the contributions made throughout this Island ? In many respects NO! Why? because until we learn to look within our history and accept the reality and relay the truth that Oddfellows with their business savvy and offers of friendship was all that we had and if we continue to deny this fact we deny the greatest portion of our history and our true beginnings into this Island and Society. There is so much more history to be told as we struggle to hold our place in this Island so let me pass on the contributions of two of our very productive sisters from the Loyal Mayflower Lodge. Ruth born in Bermuda as Ruth Elizabeth Lightbourne spent her early childhood in the city of Hamilton, during her early teens her family moved to Paget where she lived until her marriage to Clarence Simons in 1934. They were able to build their own home and raise a productive family. Sister Ruth was the type of person that left nothing to chance and after her children grew she took up studies at the Adult Education Centre and became a tutor for young women. After the death of her husband she became a savvy property manager and shrewd financial investor. She studied Art and learn to play the Guitar. Ruth joined the lodge in 1958 and studiously applied herself to the workings of the Order. She became a Noble Grand in 1964 and ultimately worked her way into the Hamilton District and served as Provincial Grand Master of the District. She was chosen to represent her Lodge on two occasions at overseas conferences. She joined delegates from around the world celebrating the 175 Jubilee of the Manchester Unity in Blackpool. She received an award for long and dedicated service from her Lodge in November 1999. She easily lived up to the principles of her lodge and displayed it throughout her life. Gloria Elizabeth was born in Somerset and was lovingly raised by her grandparents Mr. & Mrs. William Binns. Gloria lived by the wise words that her grandfather instilled in her ‘ no one was better than her no matter who they were.’ Those words gave her the self-esteem as she developed throughout her life. Her early education was at West End Primary School before moving to North Shore Pembroke. In her teen years she attended Berkeley Institute where she met the love of her life, Ross Tuzo. Gloria studied under Dr. Kenneth Robinson himself a noted personality in Education and Bermuda. Sister Gloria made her presence felt as she worked in various establishments and her career path lead her into the role of manageress of the women’s department of A.S. coopers; She was political minded and joined the United Warwick Progressive Club under the late Martin T. Wilson and Juvenile Lodge of the Independent Order of Oddfellows Manchester Unity. After raising her family Sister Tuzo resumed her lodge activities and she worked her way within the Mayflower Lodge. She became Noble Grand in 1965 and later excelled in the role of Provincial Grandmaster of the Hamilton District. On several occasions she served as Installing Master. Sister Gloria credited her lodge for teaching her the art of parliamentary procedures, public speaking and social welfare including international fellowship. She was a supporter of the Arts and served in the executive of the Bermuda Ballet Association under the chairmanship of Sir John Swan. Sister Gloria was a giver and gave lots of her time to family and friends . She boasted about her husband himself a noted musician and praised her children and grandchildren . Truly when people refered to her as a diva they were not far wrong. She showed her delight as the younger members worked their way throughout the Order next to her family it was one of her great loves. These sisters left those of us who continue to try to keep Oddfellowship alive with a mammoth task and large shoes to fill. They were true sisters and Oddfellows and the Grand Lodge above is certainly gleaming with two of the brightest stars from Oddfellowship. persons that came out of the early formationof Guilds and these organizations worked under the same premise of oddfellow. Over the next 300 years the idea of ordinary people joining together to improve their situation met with various degrees of opposition,but groups like Oddfellows survived by adapting their roles to social support functions. Friendly Societies were the predecessors of modern-day trade unions. concerning the history and the important role they played in the history and development of the black race. It must be stated here that when we refer to Friendly Societies this includes the establishment of various organizations that came into being since 587 BC when many people who were exiled banded together in a brotherhood for mutural support and defence. When we mention Oddfellows they were the persons that came out of the early formation of guilds and these organizations worked under the same premise of Oddfellows. Over the next 300 hundred years the idea of ordinary people joining together to improve their situation met with various degrees of opposition , but groups like Oddfellowssurvivedby adaptingtheir roles to social support function. FriendlySocieties were the predecessors of modern-daytrade unions.